Presentation by: Fr. Justin Matro, O.S.B. Presentation by: Br. Hugh Lester, O.S.B. Presentation by: Br. Ignatius Camello, O.S.B. Presentation by: Fr. Edward Mazich, O.S.B. Presentation by: Br. Cassian Edwards, O.S.B. Presentation by: Fr. Killian Loch, O.S.B. Presentation by: Fr. Thomas Acklin, O.S.B. Presentation by: Fr. Robert Keefer, O.Cist. Presentation by: Brother Rafael Dos Santos, O.S.B. Presentation by: Fr. Chad Ficorilli, O.S.B. Presentation by: Br. Lawrence Macia, O.S.B. Presentation by: Fr. John Peck, O.S.B. Presentation by: Fr. Bill Beaver, O.S.B. Presentation by: Fr. 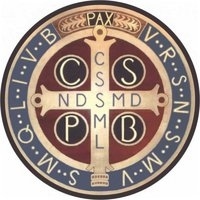 Ananias Buccicone, O.S.B.